Cleber offers a powerful, flexible and modular hardware and software platform for broadcasting and contribution networks where customers can install up to six boards with no limitations in terms of position or number. Based on a Linux embedded OS, it detects the presence of the boards and shows the related control interface to the user, either through web GUI and Touchscreen TFT display. 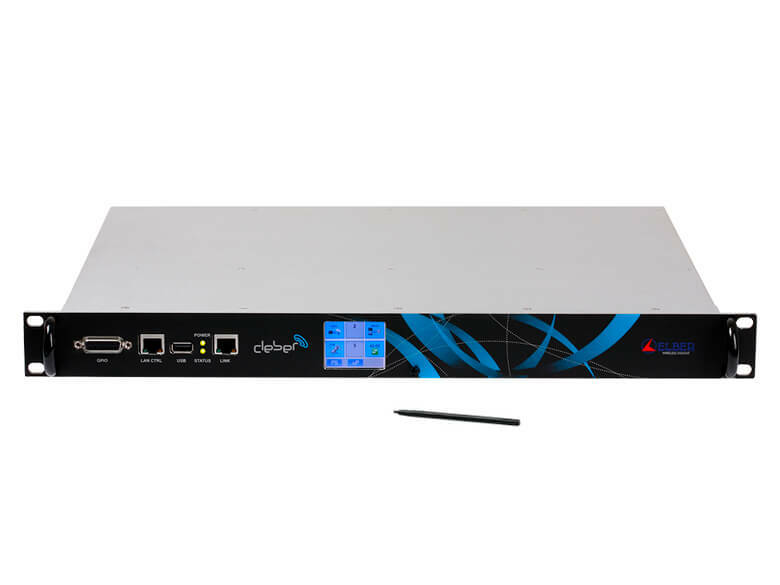 Power supply can be single (AC and/or DC) or dual (hot swappable for redundancy); customer may chose between two ranges for DC sources, that is 22-65 or 10-36 Vdc for site or DSNG applications. Thus Cleber can host any combinations of boards, there are particular applications and use cases that can be considered and described separately. Cleber is indeed the control unit for Elber portable link XPM; in case of transmitter control unit, the chassis is equipped with digital modulator (DVB-S/S2 and DVB-T), up-converter and, if needed, one or more encoders HD/SD (MPEG-2 or H-264) while in case of receiver control unit it would host digital demodulator, down-converter and decoders. For DSNG applications, the chassis can be equipped with encoder(s), TS switches, modulator(s), L-band switch and up-converter to C, Ku and Ka band. For the convergence to a broadband network, multiple ASI to IP and IP to ASI interfaces are available, both on fiber and copper support. 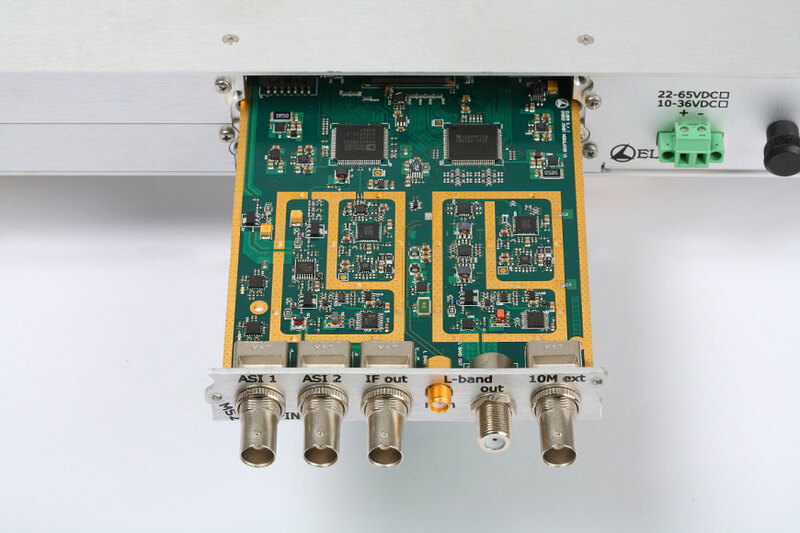 For satellite DVB-S2 contribution to transmitting sites in a TV or radio network, a multistream or single stream receiver is available. 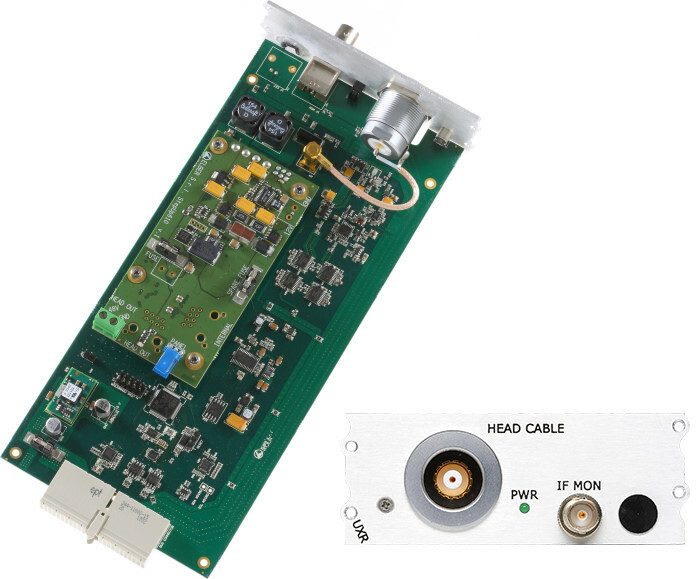 For FM Radio applications, MPX and AES-EBU over ASI are available, for full quality digital transfer of original contents. 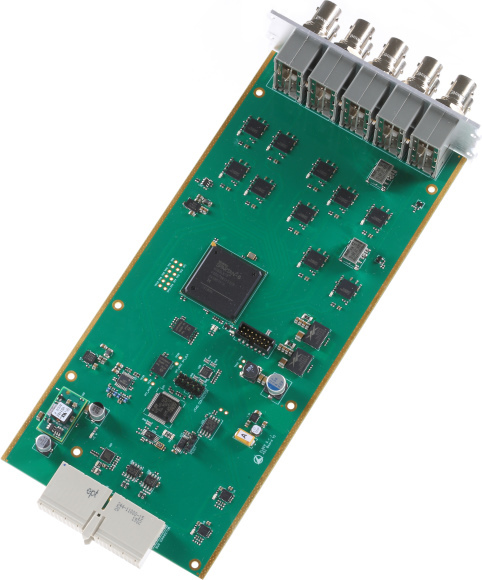 The CLEBER series has a vast range of state of the art accessories and plug-in boards satisfying the needs of the principle broadcasters and operators in the satellite field. The high product versatility guarantees a simple combination of modules allowing the implementation of the DVB-S/S2 Single and Multistream modulator and demodulator functionalities together with a number of accessories such as L-band switches, Up-converters, encoders, decoders etc. The XS4 DVB-S/S2 Single/multistream is a satellite receiver with L-Band in F(f) input and 4 ASI BNC (75 OHM) outputs; it can be connected to any type of LNB. Occupation: 1 slot. The MS2 is a DVB-S/S2 and DVB-T standard modulator with 2 ASI inputs (8 ISI maximum), L-band and 70 MHz output. The board occupies the space of one slot. The CLEBER is as well the control unit for the XPM mobile link; in case of being the transmitter control unit, the chassis is equipped with a digital (DVB-S/S2 e DVB-T) modulator, an up-converter an, when requested, one or more HD/SD (MPEG-2 e H-264) encoder(s), while working as a control unit for the receiver it lodging a demodulator, a down-converter and one or more decoder(s). 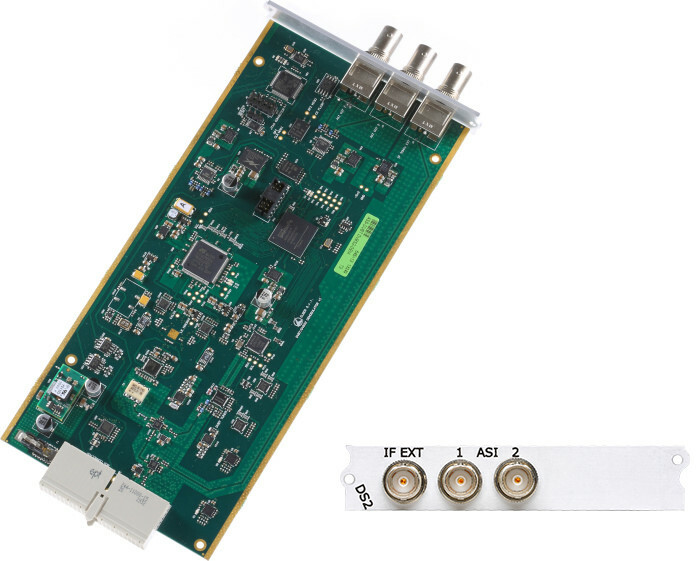 The DS2 is a plug-in module for the CLEBER device working as a DVB-S/S2 and DVB-T demodulator, with 70 MHz input and ASI outputs. Occupation: 1 slot. The UXT is a plug-in module for the CLEBER device working as a control unit for the transmitter of the mobile link series XPM. Occupation: 2 slots. The UXR is a plug-in module for the CLEBER device working as a control unit for the receiver of the mobile link series XPM. Occupation: 2 slots. The RMX04 board is able to aggregate in a “transparent” mode up to 4 ASI streams in one single ASI proprietary stream. The board has therefor 4 inputs and 1 output, all on BNC (75 OHM) connectors. The board occupies one slot of the CLEBER. The RMX14 board is able to aggregate in a “transparent” mode up to 9 ASI streams in one single ASI proprietary stream. The board has therefor 9 inputs and 1 output, all on BNC (75 OHM) connectors. Occupation: 2 slots. The DMX04 disaggregator board is able to return in a “transparent” mode the (4) original ASI streams from the ASI proprietary stream. The board has therefore 1 input and 4 outputs, all on BNC (75 OHM) connectors. The board occupies one single slot of the CLEBER. The DMX14 disaggregator board is able to return in a “transparent” mode the (9) original ASI streams from the ASI proprietary stream. The board has therefore 1 input and 9 outputs, all on BNC (75 OHM) connectors. Occupation: 2 slots. The AS03 is an ASI switch with 2 inputs and 3 outputs (or vice versa), with BNC (75 Ohm) connectors and occupies one of the 6 available slots of the Cleber. The AS13 is an ASI switch that occupies 2 of the 6 available slots; it has 3 inputs and 7 outputs all on BNC (75 OHM) connectors. The AS23 is a plug-in board for the CLEBER and works as a double ASI Switch composed by 3 inputs and 2 outputs for each of both modules. This board occupies 2 slots. 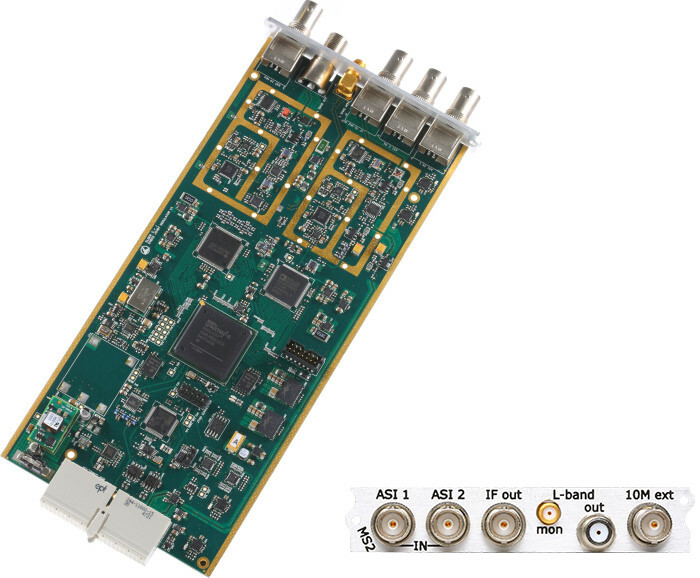 The AD03 is an ASI distributor with 1 input (BNC 75 Ohm) and 4 ASI outputs (BNC 75 Ohm), one of which a pass-through. Occupation: 1 slot. The AD13 is an ASI distributor with 1 input (BNC 75 Ohm) and 9 ASI (BNC 75 Ohm) outputs, one of which a pass-through. Occupation: 2 slots. The D23 is a plug-in module for the CLEBER and works as a double ASI distributor with 4 inputs and 1 output. Occupation: 2 slots. 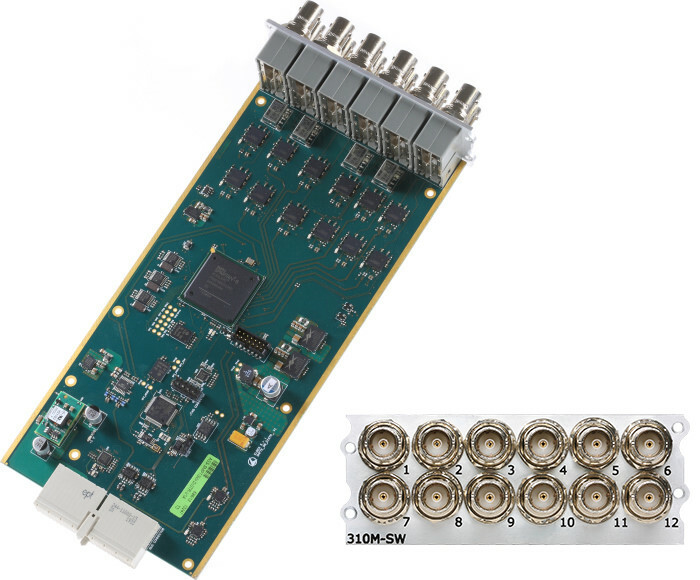 The 310M-SW is a plug-in module for the CLEBER that works as a distributor and switch of SMPTE-310 signals. The board has 12 BNC connectors and occupies two slots. 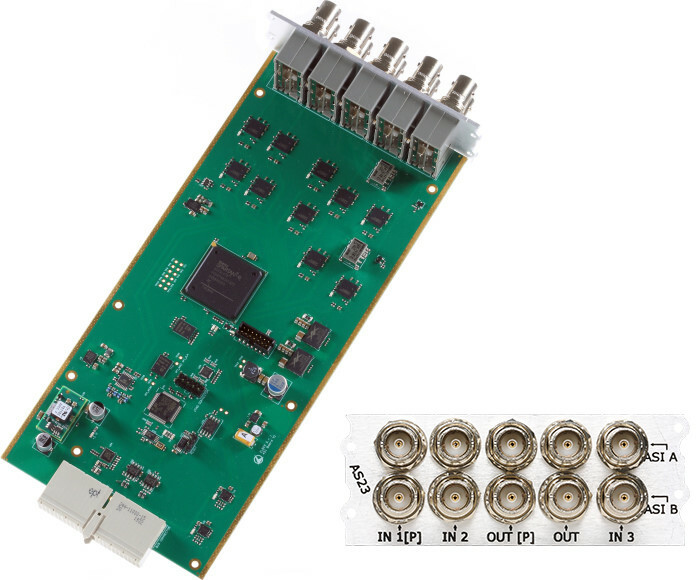 The E1-SW is a plug-in board for the CLEBER device working as a distributor and switch of E1 signals. The board has 6 inout RJ48C ports and occupies the space of one single slot. 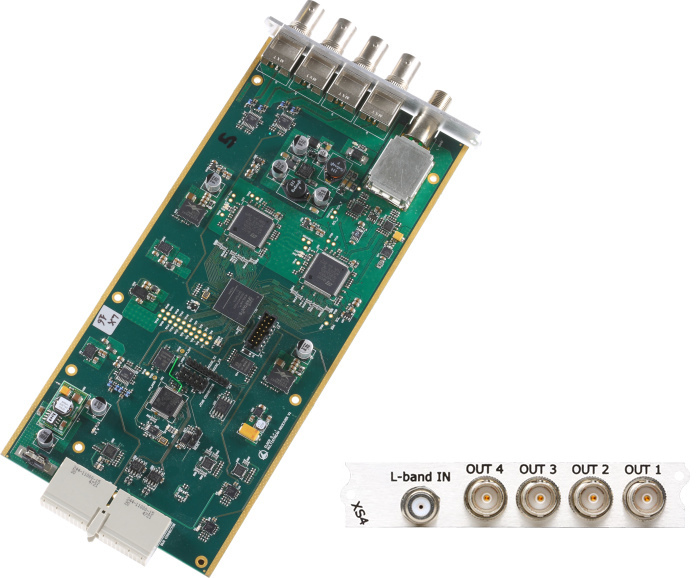 The SRS-03 is a plug-in module for the CLEBER device working as an AES3 to ASI converter, without compression, with 4 inputs (needs the SRS04 in decoding) Occupation: 1 slot. The SRS-04 is a plug-in module for the CLEBER device working as an ASI to AES3 converter, without compression, with 4 outputs (needs the SRS03 in coding). Occupation: 1 slot. Disclaimer: all files have been scanned for viruses prior to uploading them to this server. Elber S.r.l. declines each and every responsibilities related to the usage and/or download of the above files.